Editor's note: China has just imported 2,823 Holstein cows from New Zealand to meet the country's massive demand for milk. 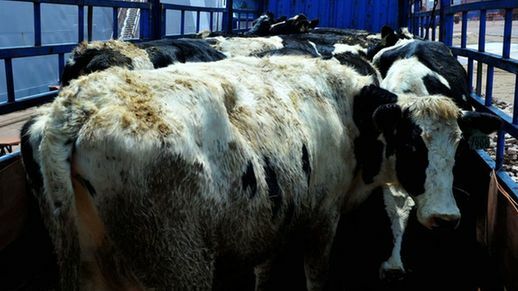 The Holstein cows were unloaded from the ships in the port city of Qingdao, Shandong Province, on May 3. They will be transported to north China's Inner Mongolia Autonomous Region after 45 days of inspection and quarantine in the Huangdao District of Qingdao. All the imported cows have been pregnant for several months and will produce calves in the near future and begin to produce milk.